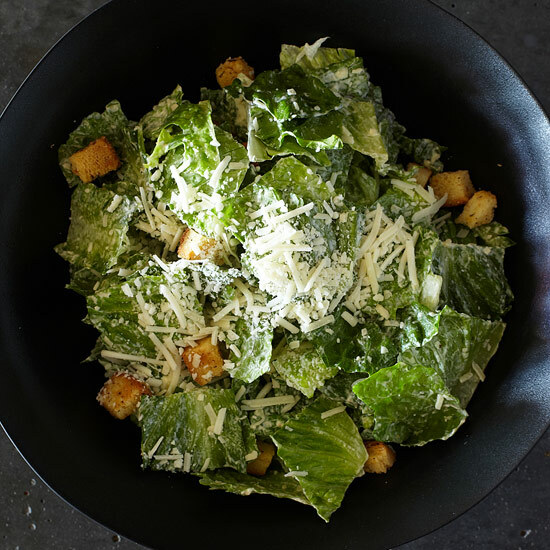 These terrific Caesar salad recipes include a hearty kale version, party-perfect Caesar salad spears and more. 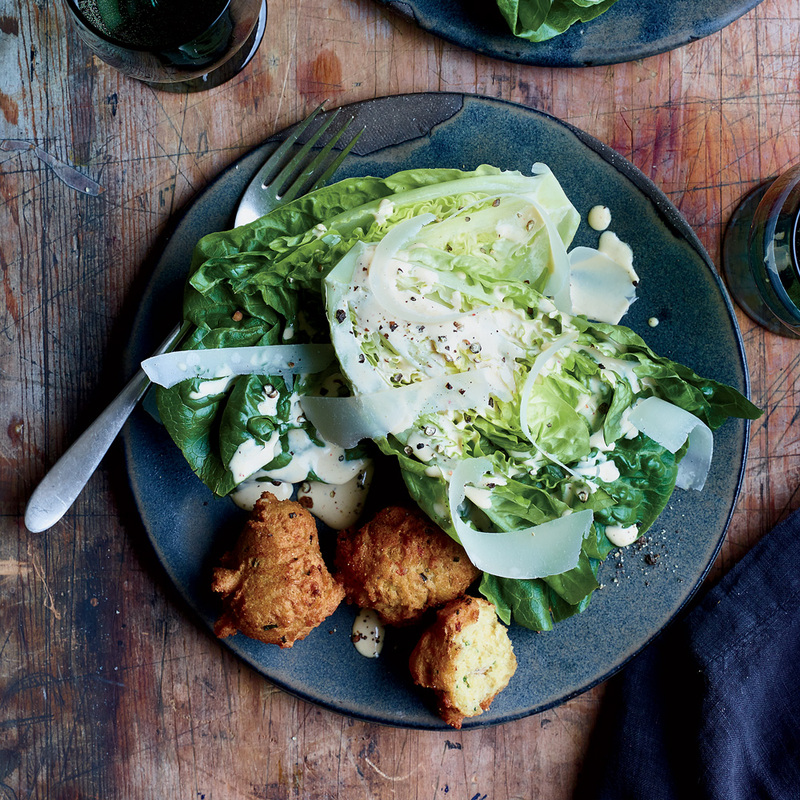 In place of croutons, chefs and brothers Bryan and Michael Voltaggio serve this Caesar salad with crunchy hush puppy-like fritters. 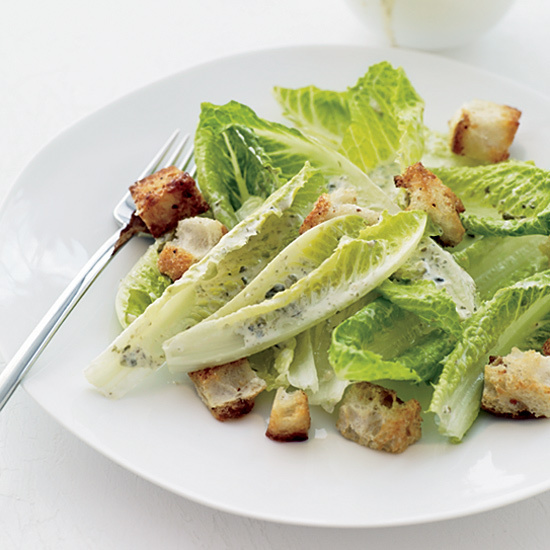 Each bite reveals pops of briny anchovy, a Caesar salad's match made in heaven. 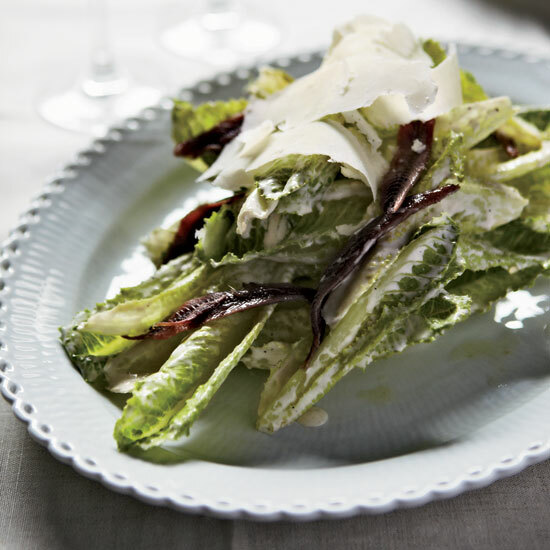 April Bloomfield uses Little Gem lettuce in place of romaine in this sensational salad, adapted from her book, A Girl and Her Pig. 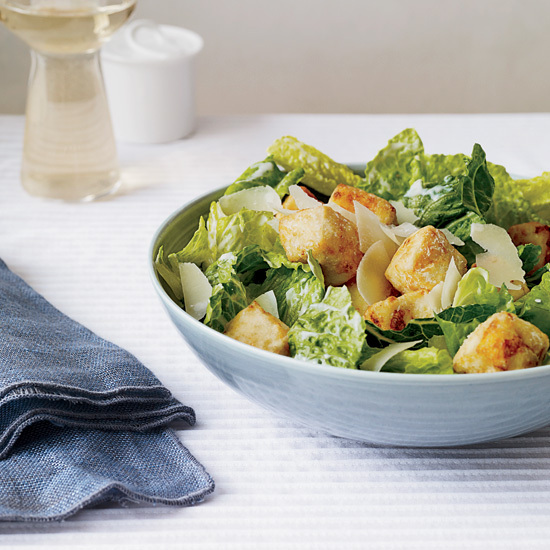 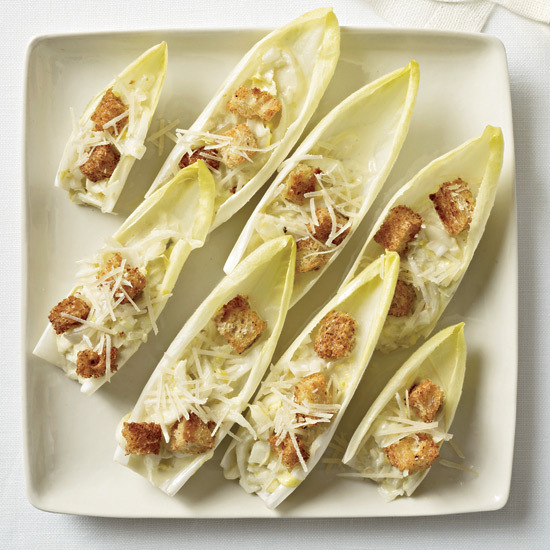 Frank Falcinelli created his take on this classic nearly 20 years ago: romaine with a pungent dressing made from anchovy, Worcestershire, Tabasco and, irreverently, jarred mayonnaise. 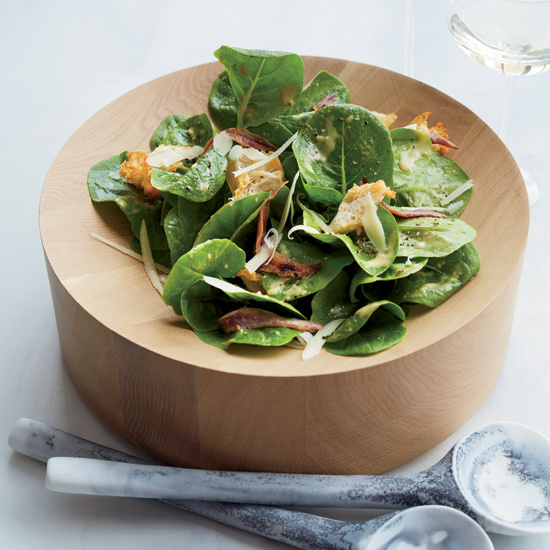 Chef Shawn McClain pounds the salty and piquant anchovy-and-Parmesan dressing for this salad by hand in a mortar with a pestle, then tossed with lettuce and home-roasted pimiento peppers. 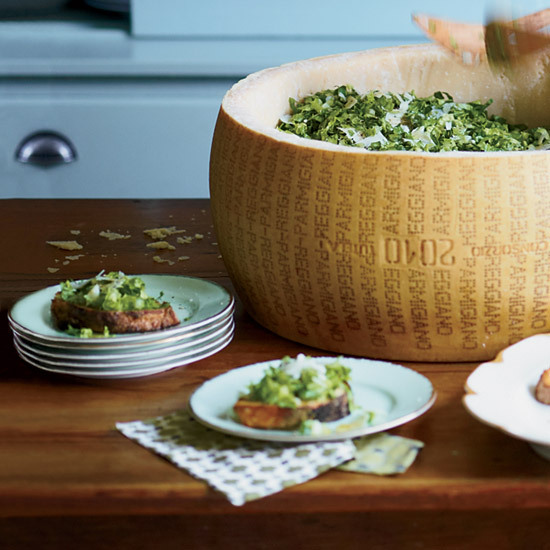 At home, a blender does the work of the mortar and pestle. 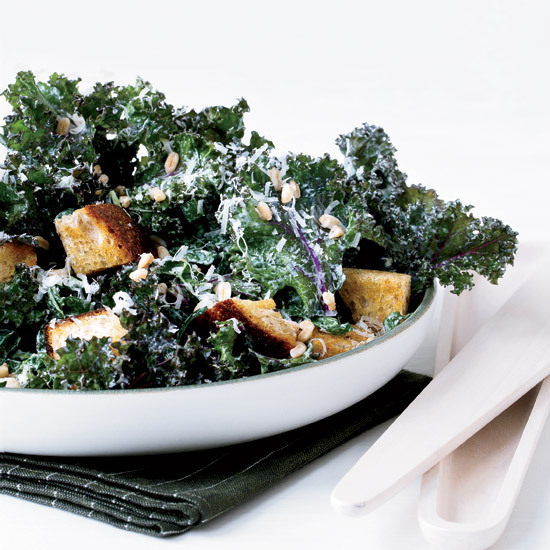 Store-bought roasted peppers, instead of home-roasted ones, are combined with the crunchy greens. 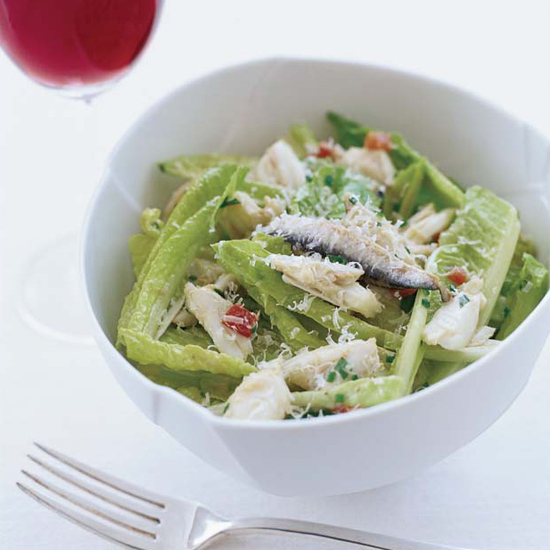 David Burke mixes mixes his silky dressing in a blender, leaving out the traditional egg yolks. 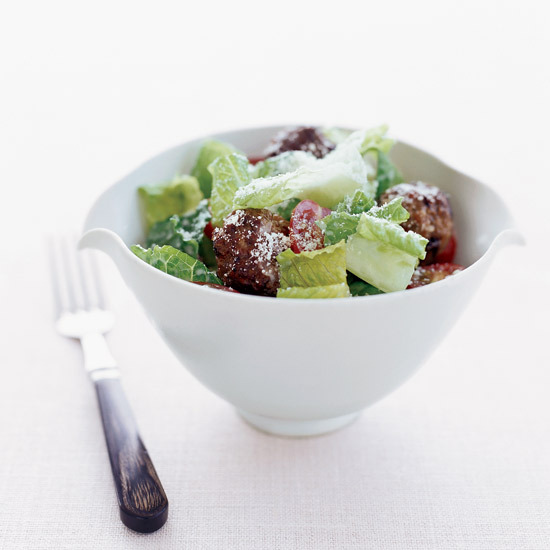 It's incredibly good with the juicy meatballs he serves in place of the usual croutons. 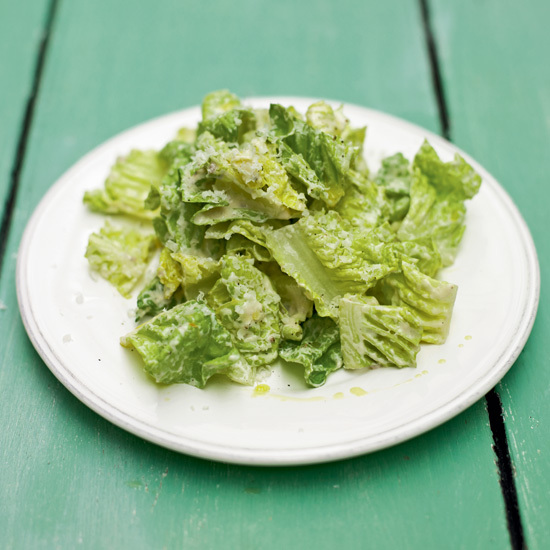 This creamy dressing is perfect for anyone who is skittish about the raw eggs in a classic Caesar salad; Melissa Rubel Jacobson enriches her piquant version of the dressing with mayonnaise instead. 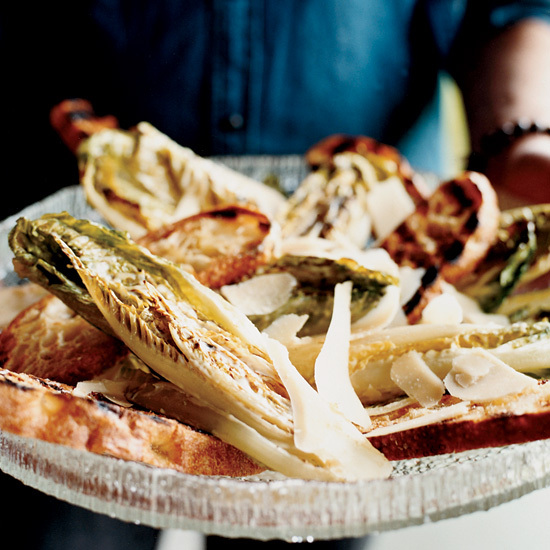 Sam Mogannam loves to use the pale-green and yellow escarole leaves for salads. 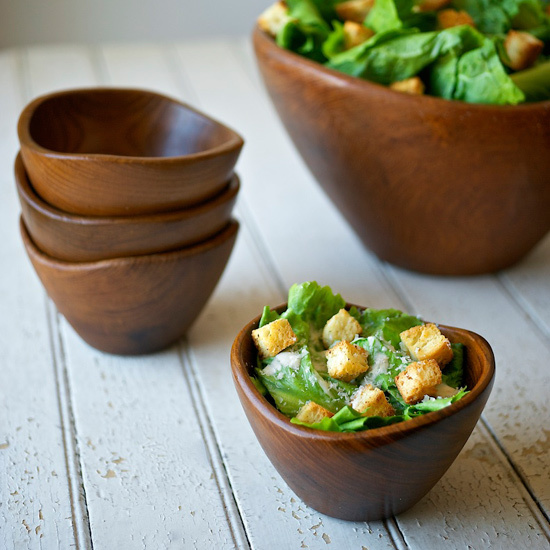 He saves the dark outer leaves and sautés them with garlic or tosses them into a pot of chicken soup.